Starplus Office Cleaning Services offer a complete Premium Office Cleaning Services in London, from smallest to the largest executive suite, all individually tailored to suit your specific requirements. Starplus Office Cleaning Services provides an unsurpassable level of personal care. You will experience dramatic improvement in the appearance of your office right from the start. At Starplus Office Cleaning Services, we are committed to detail, continuous research and development of cleaning techniques and competitive rates. Whatever sizes your premises, when it comes to value, quality and responsiveness, you can count on us to exceed your expectations. First impressions matter, further more a clean working environment guarantees optimum productivity. 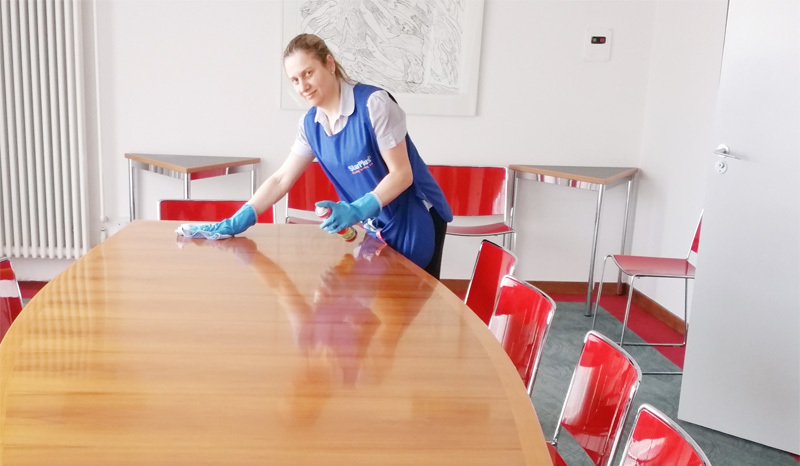 Starplus Office Cleaning Services will provide you with fully trained reliable cleaners, who are supervised regularly and monitored by our managers. The smallest details make a huge difference to the service we provide, whether it is for reasons of security, health and safety or mere convenience, our systems are designed to ensure that we get it right all the time. We manage a variety of sites from those requiring one cleaner up to those requiring 15 or many more cleaners. We can provide you with references from our clients. To discuss your Office Cleaning Services requirements please call us on 08002343455 or use our contact form and we will arrange a survey of your premises free of charge, then we will provide you with a detailed specification and quotation for your individual site.